The Guelph Storm had some sustainability issues during its season opener Friday night at the Sleeman Centre. 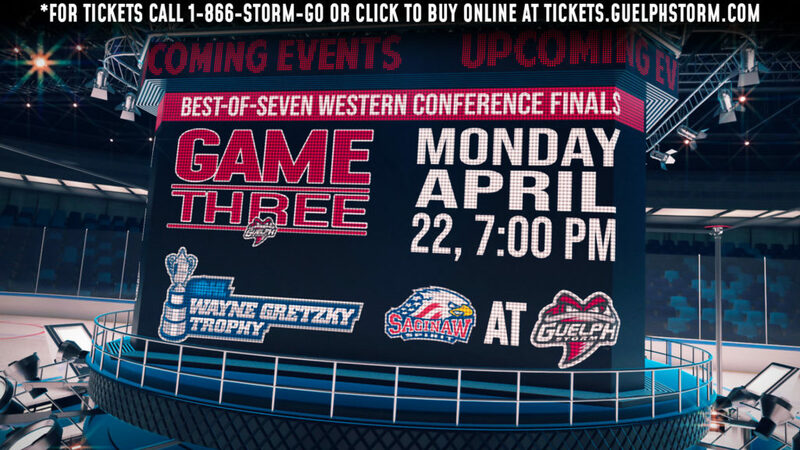 The Storm spent very little time in the offensive zone in a 3-0 loss to the Oshawa Generals in what was a very easy shutout for Generals’ goaltender Jeremy Brodeur. Guelph managed just 23 shots on the son of NHL legend Martin Brodeur, who got the start in net because Oshawa starter Ken Appleby is away at the St. Louis Blues training camp. 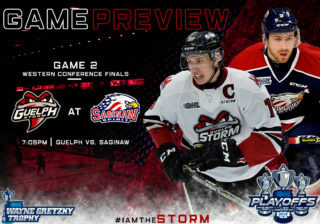 Time and time again the Storm’s offence consisted of one shot at the Generals net before the puck headed out of the Oshawa zone. There was virtually no sustained pressure, even during Guelph’s three power plays. It might have been the first game of a 68-game season, but Storm coach Bill Stewart wasn’t too thrilled with the effort, which came before a crowd of 4,331. He called out his veteran players, saying they have to be better, saying he saw a lot of “puck staring” both on and off the puck. “I’m at a loss for words when your older players, the players that you’re counting on, really didn’t compete that hard tonight,” Stewart said. Second-year player James McEwan was singled out by the coach as one of the few forwards that played well. “Like coach said, I think our youngest guys played the best today. Our top six forwards were a little questionable. 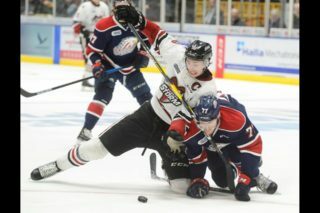 That just means we’re going to have to work harder tomorrow,” McEwan said. 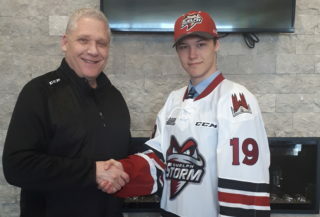 The Storm had six rookies in the lineup, five of who were playing their first OHL games. Stewart had little problem with their efforts on the night.